Basketball shoes are a desirable style of athletic footwear that reflect the principles of team spirit, hard work, and technological advancement. One of the originals, the iconic Chuck Taylor created by Marquis Converse paved the way for designs which both players and fans coveted, wanting a sneaker that allowed for their skills to shine through. Soon, competitor companies entered this industry with their own versions of performance-oriented footwear, and today you will find that most major sports brands have their own line of basketball designs. In this list, we take a look at the top ten best basketball products available for purchase, and evaluate the important aspects and values of each of these models in order to help you choose the pair that will serve you the best – whether you want to rock them on the court, or display them as part of your b-ball collection. The latest update to this article replaces 8 items in order to give you the most current basketball shoes available, appropriate for both street and court wear. You'll find that the top 10 list includes a number of models by brands such as Nike and adidas, all featuring different types of tech for users with different needs, but introduces models by Li-Ning and Under Armour as well for a greater variety of options. 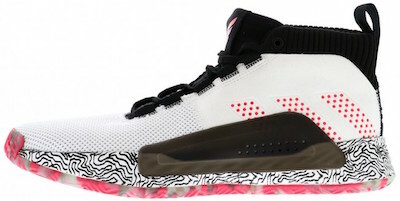 In order to keep up with the ever changing trends in basketball shoes, this article has been updated with the newest models that are currently on the market. The criteria section has also been re-looked at and worked on, giving you more in depth detailing and selection factors. The most recent update reflects 2017's most popular and functional basketball shoes with specific descriptions on their design, features, and functionalities. An updated research criteria provides further buying advice at the time of selecting basketball shoes, as well as valuable insight on the functioning of basketball shoes. With the previous iteration of this shoe being one of the highest ranking models in previous years, it comes as no surprise that the Harden Vol. 3 was one of 2018’s highest rated models. The upper has been entirely redesigned, getting rid of the midfoot cage, and bringing you a shoe which is made from a quality knit that feels strong and supportive (like leather), but is more breathable. An elastic strap is placed over the metatarsal area for decorative purposes, and the shoe comes in several fun colorways. The third version of the Harden stands out because of the cushioning system it utilizes. Featuring Boost and a low heel-to-toe offset, this is a balanced pair of shoes that’ll allow excellent court feel, while still providing plenty of protection and a good amount of bounceback. The outsole has a herringbone traction pattern that’s tightly packed, and that will pick up dust (so wiping will be necessary), but it’ll do well on clean courts. In terms of fit, this is one of the best models this year, with a locked down feel, a supportive internal heel counter and a flat base. The price is average as well, and this is a great choice for those who want great performance, but aren’t ready to spend $200 on a basketball sneaker. The downside of the shoe is the durability of the outsole on outdoor courts, so if you are looking for something to serve that purpose, you may want to go with the previous version. The fifth edition of Nike’s collaboration with Kyrie Irving brings you a shoe that’s sure to satisfy, with a brand new cushioning system, fun, eye-catching colorways, and one of the best fits currently available. It’s a model that’ll provide the right type of traction and stability for quick, multidirectional movement, and is a great choice for all positions. The upper is made with breathability in mind, using engineered mesh, and a Flytrap midfoot cage that locks you in and allows you to to find the perfect fit by tightening or loosening the laces. Two of the biggest differences from the previous model are found in the midsole and outsole. In terms of cushioning, the midsole now features Zoom Air Turbo in the forefoot which cushions and returns energy more quickly, without allowing you to sink in too much. The rest of the midsole is made up of Phylon foam which absorbs shock from impact, but could be a bit too stiff for some players. The outsole has done away with herringbone, and features an intricate, multi-directional pattern that will work for movement in all directions, and won’t be made ineffective even with dusty courts. It won’t last long for outdoor play, but it will keep you on your feet, so if you’re ready to buy new shoes every couple of months, then you can use the Kyrie 5 on concrete as well. Another thing that’s been updated since the last model is the price, which is now slightly higher, but you’ll still find that this shoe ranks average compared to most Nike and adidas flagship models. 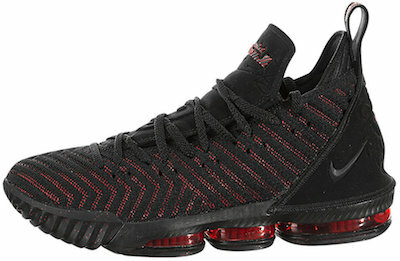 Developed for one of the best players in the world, the LeBron 16 brings important updates in terms of fit, weight and flexibility, giving you an overall high-performing shoe you’ll love wearing both on the court and as a casual sneaker. The biggest change comes in the form of the Battleknit 2.0 which is now made from stronger, more reliable fibres, that’ll keep you locked in, regardless of the way or speed at which you move, but still allowing plenty of flexibility and customization for the ultimate fit. The tongue features an expandable gusset that allows easy entry (further aided by the pull tab at the heel), but then collapses under the laces so you don’t have to worry about rubbing or fit issues. The cushion features a combination of Max Air and Zoom Air shock absorption, resulting in excellent impact protection that doesn’t sacrifice energy return - so you can expect to be quicker on your feet than with the previous model (which would also sink around the edges, losing energy, but that’s been fixed). On the bottom, you get a herringbone patterned outsole that is one of the best in the industry. Because the lines are further apart, they won’t pick up dirt, even if you wear these outside. This means less wiping, and more play time. The rubber itself is durable enough to stand up to outdoor use as well, so if that’s your thing, the 16 is a good choice. In terms of fit, you’ll have to break these in before you manage to get that truly locked in feel - until then, you should expect a bit of heel slippage. The support has greatly improved since the last version as well, making this a stellar choice for bigger players who need something sturdy. A futuristic shoe with a laceless design, the N3XT L3V3L definitely is something new in the industry. The upper is made with the brand’s Primeknit textile upper that’s sock-like. Where more traditional models would have a tongue, the N3XT L3V3L features a stretch panel that allows you to slide your foot in and out, and which holds you in place throughout your movements. In the back, you get a high shaft, a suede pull tab, and an internal heel pad that’ll keep you slip-free. Do note, however, that putting these on will take a bit of effort, but you shouldn’t expect any less stability than with traditional models. The midsole of the N3XT L3V3L features a newly developed foam called Lightstrike which is great at absorbing shock, but without the weight of the Boost which is often used in adidas basketball kicks. A greater heel to toe offset ensures stability and response in the forefoot, but a good amount of impact protection in the back. The outsole on this model features a herringbone pattern that’s been proven to be effective time and time again. It’ll grip clean courts excellently, but won’t do well with dust, and is definitely not to be used outside on concrete. This model is ideal for smaller, quicker players who are looking for a lightweight shoe that’ll provide excellent response, good traction, and a great fit. The problem with these may be the fact that the knit will stretch with time, and that they will definitely show signs of wear. Couple that with the steep price, and you get a model that’ll work best for those looking to try out something new. This is one of the top all-round shoes out there, and the best thing about it is that it comes at an affordable price that’s considerably lower than most models listed here, but still gives you some of the best traction available, along with great cushioning and an impeccable fit. The upper combines mesh and textile, with enough breathability in the forefoot area and a locked in midfoot. The inside of the shoe is generously padded which means a locked in feel, but those who prefer a snug fit should go ½ size down. The impact protection system used in the Dame 5 is the brand’s Bounce cushioning which is slightly firmer than Boost, meaning that it’s quicker in providing response, while still protecting the entire length of your foot. It’s also flexible enough to give you seamless transitions, which a lot of players will appreciate. When it comes to the outsole, you’ll get a herringbone pattern (a standard in the latest batch of adidas basketball models) which does great on clean courts, and the rubber is hard enough to serve you a couple of months on concrete as well. One of our favorite things about the Dame 5 are definitely the colorways which range from simple whites with a few colorful accents, to out-there combinations of eye-catching colors that are sure to set you apart on the court (or the streets if you plan on wearing as your everyday shoes). Another thing to keep in mind that these can be snagged for less than $100, which is really difficult to find if you’re looking for top performing ball sneakers. In 2002, adidas developed a winner style inspired by Tracy McGrady, a shoe that was so hot, everyone was wearing it. With a fun design and excellent performance, it has definitely earned its place in sneaker history, but this year, the brand decided to update the original and bring something that would work for a new generation of players who have become used to the latest tech giving them a head start on the court. One of the definite best things about the Millenium edition has to be the outsole, which features a sectioned herringbone pattern that’ll stick to even poorly maintained court, pushing dust out. However, don’t wear it outside on concrete, as you’ll quickly find yourself in need of a new pair (something that seems to be a bit of a theme for adidas). The biggest update definitely comes in the form of Boost cushioning which is thicker in the heel area for greater impact protection, and thinner in the forefoot to ensure you still get a responsive pair of kicks. The upper is made of really high quality synthetic leather that’s extremely durable, but will take about a month to be fully broken in. The fit is great for those with wider feet (or those who prefer a bit more wiggle room), but the classic tongue construction does allow for these of be tightly laced for a locked in feel. If, however, you prefer a snugger fit, go ½ size down. The price is surprisingly low for a model of this caliber, and (although still expensive) can be a good choice for those in search of a winner shoe on a tighter budget. You might even find it on sale. The colorways are fun as well, all of them flashy and eye-catching, so you may decide to wear these as your everyday sneaker as well. The original Anatomix Spawn by UA was released in 2014, and since then, the brand has worked hard to bring you a pair of shoes that will perform as well as the original, but with some updated functionalities (plus some awesome colorways, including silver and gold versions). The upper is made with lightweight, flexible and breathable mesh with printed overlays for support and stability. The internal heel counter will hold your foot in place, and you’ll enjoy a solid fit that’s true to size. In terms of cushioning and midsole, you can expect plenty of support, as well as impact protection from a Micro G cushion that’s close to what was in the original. The newer version is lighter, but still gives great response and energy return. An internal midfoot shank prevents your foot from rolling over, making this a good shoe for quick players who cover the entire court. The outsole features a traction pattern that is circular, and offers some of the best grip ever. It will perform great on all indoor courts, but do expect it to fray outdoors as it’s made with a soft rubber compound. With the outsole wrapping around the forefoot as well, you’ll not only cover a greater area in terms of grip, but it also contributes to the locked in feel you get with this model. 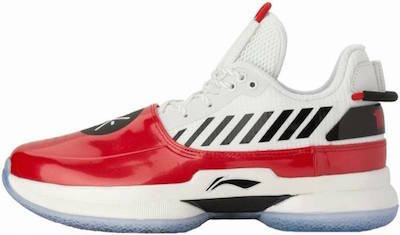 The price is slightly lower than average, making this a great choice for those looking for lightweight, low top kicks. 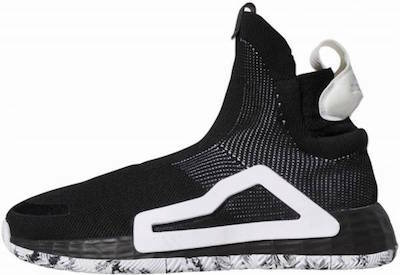 Developed by China’s premier sporting goods company, in collaboration with Dwyane Wade, the latest Way of Wade shoe is a good choice for those who want something other than adidas and Nike (or can’t find ANTA’s amazing models). It’s a pair of sneakers with a great design that’s not just supportive, but also made with premium materials - high-grade leather, carbon fiber and composite nylon net all work together to give you one of the best constructed, most durable shoes currently available for purchase. The fit of the WoW7 is close to perfect, running true to size and being comfortable even for wide-footed players. Perforations in the toe area ensure breathability, while an elastic shoelace cover hides your laces and secures them from coming undone. You’ll love the padded inner, including the foam insole. The downside of the WoW7 is the traction which is probably the weakest of all the models listed here, and it won’t really perform well on hardwood. If, however, you’re looking for something to wear outdoor, then this might just be the best shoe for you. The cushioning offers excellent impact protection, but is slightly firmer than what most users prefer. A beautiful low top sneaker, the Adidas Crazy Boost does not slack when it comes to performance and comfort despite going against its high top competitors. Made for indoor hardwood, these are stacked with advanced features - the light agileness, molded heel, Jacquard synthetic and Continental rubber all work together to make this sneaker a nice fit for anyone wanting to impress on the court. The Crazylight Boost has BOOST energy-returning properties, just like any other Adidas flagship basketball design. Not only does it return energy, but ultimately it prolongs court performance. A Continental rubber outsole provides excellent floor grip, both in wet and dry conditions. Despite being a low top design, the Crazylight Boost still provides excellent lateral stability thanks to the carefully constructed upper. Made out of breathable mesh that’s both lightweight and flexible, these sneakers have TPU overlays which work to hug the foot, providing it with lateral stability that helps prevent sprains and rolled ankles. 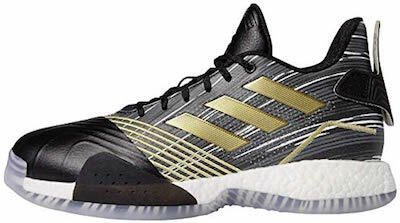 The Adidas Crazylight Boost is a great choice for players who want to focus on speed and mobility, seeing that it’s a low top with plenty of energy return provided by the BOOST cushioning. Ranking below average on this list when it comes to price, it is also a good choice for the more dedicated enthusiasts who are looking for a high-quality option. 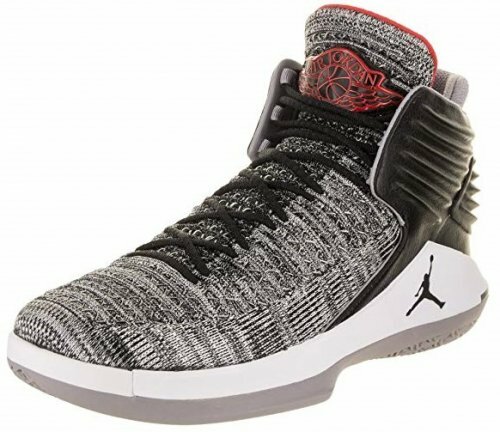 The Air Jordan 32 design is inspired by the Air Jordan 2, an iconic first-ever luxury basketball sneaker that was Italian made. The silhouette of the 32 is thus a little retro, a little nostalgic, but make no mistake that this design is outfitted with all the latest technologies and premium materials that only Nike can offer. This high-powered sneaker comes with an upper made from a combination of leather and flexible Flyknit. It has an integrated lace-up system, and an exaggerated collar that looks snazzy. However, this collar is not only a fashion moment, but also provides amazing lateral support. The Air Jordan 32 is outfitted with the Nike FlightSpeed technology, which spreads your weight evenly through the sneaker. It possesses advanced compression and delivers amazing energy return, adding lift to your every jump shot. The high collar of the design ensures additional support for the ankle. The Air Jordan 32 is that luxury b-ball design that everyone wishes they could have. It’s stylish, available in several different colorways, but it also greatly improves your performance with its high-quality materials and innovative systems. You won’t go wrong with the Air Jordan 32! How good a pair of this type of sneakers is will greatly depend on the soles. Not only will a pair of high-quality sneakers help to improve your performance with more effective speed, but they can also help prevent injuries. A design without a good pair of soles can lead to slipping and falling or can result in ankle sprains that can have a significant impact on your game and career as a professional basketball player. Keep your eye out for footwear that has rubber soles which provides traction that’ll prevent those dangerous slips and enhance your best moves. You should also pay attention to designs that have multi-directional traction patterns, as these are specifically created to give you an amazing grip of the surface underfoot, enabling you to make those quick cuts that’ll shake defenders off of you. Outsole: A decent outsole must include two things; a steady, firm grip and smooth traction. These two are very easy to confuse, and they’re commonly referred to as the same feature – which is wrong. In simple words, the grip is what allows you to hold yourself onto the surface, while traction is what determines the quality of the movement in relation to the surface. Despite being two separate things, grip and traction must work together to deliver optimal performance. An outsole that lacks either of them isn’t any good for basketball, as they’re both key parts of the sport. The best designs must come with a grip that allows users to stop immediately, regardless of the speed they have and the direction they’re coming from. If you’re approaching the hoop fast and you want to go for a shot, it’s critical that the outsole grips the surface in a manner that it prevents your sneakers from moving in any direction once you’ve stopped. A cheap outsole will be defeated by your momentum, ultimately resulting in slippage or lateral swinging. In order to get a clean shot, any lateral impulse should be neutralized; you only want to move in a vertical dimension when going for the shot to obtain the most accuracy. Some sneakers will grip efficiently to the floor when taking a shot or going for a cross-over but will fail to grip when performing quick and continuous movements. Variations of rubber, such as vulcanized rubber, have a slightly stickier surface and help control fast and forceful motions. Midsole: Midsoles are the component responsible for most of the shock absorption process. This is why, in most cases, they’re the thickest and heaviest part of footwear. Basketball is a sport that involves a great amount of impact – running and jumping create a lot of shock. If this shock isn’t regulated, your joints, muscles, and bones will be severely affected; not only during the match but in the long run as well. If you’ve ever had extremely sore heels the day after a match, chances are you were using footwear that lacked a sufficiently absorbing midsole. From the moment of impact, the shock moves up from the surface. The first obstacle it will encounter is the sole, which is why the sole absorbs most of it. However, shock doesn’t stop there, and it is crucial that the insoles of your sneakers have cushioning as well, so as to neutralize as much of the force as possible, saving your heels. For many years, the default material for shock absorption was rubber, but new compounds are being created more and more by incorporating synthetic materials and options. These compounds are denser, meaning that they naturally contain more mass. By having more mass, these materials absorb shock more efficiently. Do note, however, that mass alone doesn’t guarantee shock absorption. Cushioning: Any design that is meant for an impact sport should come with enough cushioning. This sport involves both consistent impact and a lot of aerobic activity, which is why it’s paramount that our feet are adequately protected by the sneaker. Cushioning plays an important role in this, and although it doesn’t deal with impact directly, it makes sure that the residual energy that isn’t absorbed by the soles doesn’t do too much harm to your joints and muscles. But, performance cushioning isn’t only limited to protecting feet from residual impact energy. Basketball involves a large variety of very different movements which generate compression of the foot against the materials of the design. Cushioning materials found in your pair of sneakers also prevent your feet from taking damage against the materials of the sneaker. The exteriors of sneakers are made to be tough and durable, and this often means that they are too rough on the feet unless covered with a layer of protective cushioning. The cushioning can prevent damage caused on the feet and will increase the level of comfort you feel when playing. If you find yourself wearing a pair of sneakers that lack in the cushioning department, you will find that you experience greater levels of fatigue as your muscles, bones, and joints will be more exposed to impact and vibration. At the same time, cushioning isn’t something that should be overdone. Made of soft, comfy materials, it will most likely lack the structure and support you need for a sport like this. You don’t want to miss out on cushioning, but having two pillows in your sneakers will affect the stability and firmness of each motion. Interior: Look for add-ons such as a sock liner or a soft interior fabric to maximize the level of comfort you feel when you put on your sneakers. It is important that you also consider the width and length of the design, as both of these will be a huge deciding factor. An option that is too loose will allow your foot to slip around; one that is too tight will cause friction and irritation and can affect circulation. Midsole Components: If you really want the sole of your foot to feet good, then it is necessary to check out what the midsole is made of and how thick and bouncy it is. If your sneaker lacks bounce then you will have a stiff feeling that hinders your mobility. Too much bounce and you lack that close to the ground feel that gives you maximum control. Overall Weight: The heavier the design the more it will slow you down, and this is true for every added ounce of weight. Depending on your size, opting for a lighter sneaker can make a significant difference, and if you’re smaller in weight and stature then you want to look at low tops that are made with thinner materials. The bigger you are, the more you can go up in weight, but be conscious of how the design feels on your foot because as each minute on the clock ticks by that sneaker will feel heavier. Supportive Materials: Nothing takes away from your level of comfort quite like an on-court injury, so help prevent that by opting for a design that gives you support where you need it most. If you have had prior ankle injuries, look for a sneaker that gives you a tighter fit up top and supports you. Materials such as mesh may reduce weight and add breathability, but an all-mesh choice won’t do much in terms of support. Breathability: Basketball is a tough sport, which means that your feet will get hot and sweaty real fast. In order to minimize the risk of skin irritation and blisters, opt for sneakers which are breathable and allow for good airflow. Mesh or synthetic materials are great options, and they will often have the advantage of moisture wicking properties. Do note, however, that these materials lack structure and support. The best footwear will have breathable panels in areas where heat concentrates most, such as the sides of the sneaker, the top of the foot and the toe box. Needless to say, an optimal fit is required in order to play ball comfortably. The ideal fit is one that compresses your feet slightly to provide support, leaving just the slightest gap of space between your foot and the sneaker that allows you to put it on. Another key element in determining the fit are the laces which need to be strong and dependable, making it possible for you to get the most support out your footwear. Toe Box: Make sure there is about a thumb’s width of space between where your toes end and where the sneaker ends. Any less, and your toes will be cramped and uncomfortable; more and there will be too much space and your foot will slide, opening you up to injury or discomfort. General Width: Your sneaker should feel snug against the sides of your foot, but it should never compress your foot to the point where it’s in any way uncomfortable. Like a great hug, your foot should feel comforted, supported, and encased without any area being pinched. If you find synthetic footwear to be too tight on your foot, but good in length, try opting for a leather design instead. Leather will stretch and break in, giving you the correct length and allowing for some extra room to accommodate the width of your foot. Weight: If your footwear feels at all heavy when you try it on, it is going to be way too heavy to play in. The longer you wear these sneakers the heavier they feel, and that’s true for even the lightest of models. Make sure you’re picking a pair that is the right weight for your size and is easy and light to walk around in. Heel Support: The fit on your heel should be the snuggest part of the sneaker, and ideally you want to feel like your heel is locked in place. This will help reduce injury to your feet, ankles, hips, and even back. Of course, you don’t want it overly tight, but the heel should not be moving around or lifting when you walk. Closure: The closures are what allow each user to compress the fit of the design, and these can be laces, velcro straps, or traditional straps. When tying your sneakers, notice how the laces pull the materials together around your feet. An efficient closure system is one that distributes the tension equally throughout the upper. If, like most basketball players, you find yourself wearing mid or high tops, it is crucial that the entire closure system is firm, from the top all the way down to the tongue. When we’re talking about flexibility, there is an important distinction to make: flexibility of a design is not a single element, but rather a quality that must be present in each element of a sneaker separately. When shopping for performance footwear, you must make sure that the frame, the upper, and the sole are flexible enough to practice sports in. Flexibility is the very base of most motions you can possibly make with your feet, and if your footwear lacks it, you are opening yourself up to stress and tension, especially in the instep of the foot. Look for footwear that offers flexibility in the soles, which will allow your feet to move naturally when running and jumping. If you have a chance to try out the sneakers before you purchase them, make sure to perform a flexibility test. Take both ends of a design - the heel and the toe area - and bend them upwards until they touch each other, if they can. This will allow you to gauge whether or not a design has the amount of flexibility that you are looking for. Of course, flexibility is a feature that, like many others, should be present but not in excess. The flexibility of a material is inversely proportional to its support; meaning that as a material gets more flexible it starts to lose its structure and fails to hold the foot in place. So make sure that your option is flexible, but not flimsy, and that you still feel secure and safe while you play. When we’re talking about support, we have to types to cover: ankle support, and arch support. As a basketball player, you probably know this better than any other athlete: ankles are very susceptible to injury when playing an intense game. One wrong move with no protection can put you at risk of a sprain that could severely limit you during the game, or potentially keep you from playing for a while. A great footwear choice will work to protect you from such injuries through features such as a high top, a well-molded collar or even a sock bootie. At the same time, you don’t want the ankle support to restrain your movements. Support should only act as a feature that prevents your feet and ankles from assuming unnatural positions that may be hazardous, or simply uncomfortable. Too much ankle support will prevent you from rotating freely and will considerably hinder your dribbling ability. Sneakers come in low, mid and high top options, and the one you choose will affect how much support you will be getting in the ankle area. The higher the design, the better the ankle support, as you will have more material wrapped around the upper part of your ankle, which can generally be tightened or fastened to give you the right fit. The position you play will also make a big difference when it comes to which style you should choose, as each offers its own unique set of characteristics. For positions that need more support, because they need quicker pivoting for blocking, etc, a higher topped sneaker is going to really allow you to move with more security and stability. When you need to be quick on the court, a low top will be lighter and give you more speed, and will also be a great option if you want more height on your jump. Normally, performance footwear has a standard level of arch support which generally suits people who have no arch issues. Users that suffer from arch conditions such as flat feet or high arches, experience a considerably larger amount of stress on the arch – especially when performing sports. In these cases, it’s up to the user to solve this. The best choice, regardless of what your feet anatomy is, is to purchase customized insoles. In general, this is something all people with arch conditions must do, as they are unlikely to find a pair of sneakers that suit their specific condition. Even if the generic arch design fits your anatomy, the best way to go is with an insole that perfectly supports the exact shape of your feet, including the arch. The foot arch is affected by flexion and aerobic performance; if on top of that you add stress generated by the lack of arch support, you’ll have a hard time. This is even more important in practices as active and forceful as basketball. If you're just getting into the sport, mastering basic moves is a must to move onto more advance styles of play. Learning to dribble, shoot, and other ball handling and foot maneuvers require practice to master so they feel second nature during a game. For extra practice, hit the local park on the weekends for a round of hoops with your friends or family! Basketball utilizes quick stop and go movements, from front to back, and also side to side. When you're selecting a pair of basketball shoes, make sure they have the right level of lateral support as well as traction for the surface you'll be playing on. Indoor shoes tend to hold up great inside on the floor, but not quite so well on a street court with concrete or gravel. There you have it, our top 10 list of the best basketball shoes currently available for purchase. All of these are incredible and show that footwear technology will definitely continue to evolve. From the LeBrons to the Jordans, to the Durants, there really is no wrong choice. However, all of these models feature aspects which might make them the right pair for the type of player you are. If you are a professional or even an enthusiast player, you probably already know what you want out of your sneakers, so you’ll easily be able to make up your mind based on the styles we think are the best. If, however, you are a sneakerhead with a soft spot for b-ball, then you’ll need more time to make your decision for the one pair that you’ll opt to make your own. Or who knows, maybe you’ll even decide to purchase a couple of these, considering the fact that all of them look and feel great. q: Can these sneakers make me jump higher? Compared to some other types of footwear, you might find that this type allows you to jump higher. But in the end, the height of your jump comes down to the strength of your calves and legs. q: Can I casually wear these designs on a regular basis? Yes, you can wear the options from our list on a day to day basis. They’re generally designed to be comfortable for your feet, which is a benefit if you’re walking for long periods. In addition, sneakers like these also make a great stylish option when you’re going out. q: How often should I replace my footwear for playing ball? A strong indication you should replace your basketball footwear is if you find that your feet are starting to hurt after practice. You also may notice the bottom of your sneakers starting to look old or really worn down. That’s another indication you should replace your shoes as well. Wearing designs that no longer offer the right support and grip can lead to injury. q: Do these designs make good running shoes? No. Basketball footwear is specifically designed to give ankle support and maximum shock absorption to help with swift side to side movements along with quick stop and go movements. They also tend to be big and thick, so you won’t get the most effective stride in your steps as you would with the sleekness of running footwear. q: How to keep these shoes clean? It’s suggested that the best way to keep your b-ball footwear clean is to only wear it for playing basketball. However, if you do wear them daily, watch out for mud, and be cautious of how much they get scuffed. When you clean them, it’s important to clean the soles so they continue to provide traction. For a design that has leather, you need a special leather cleanser, but water and soap work fine for all other options. q: What kind of sneaker do I need for outdoor courts? The most important factor if you’re going to be using your sneakers for outdoor courts, is to get one with the best traction. Playing on outdoor courts puts more stress on the soles. It would be particularly good to look for footwear with thick rubber soles and elaborate traction patterns so they’ll last longer for you.